Grade 5: Canadian institutions and government reflect the challenge of our regional diversity. Grade 6: Media sources can both positively and negatively affect our understanding of important events and issues. Grade 7: Increasingly complex societies required new systems of laws and government. Inquiry question: How does our democracy work and can it be improved? Elections are an integral part of our democracy. Students will compare voting systems: first-past-the-post and proportional representation. 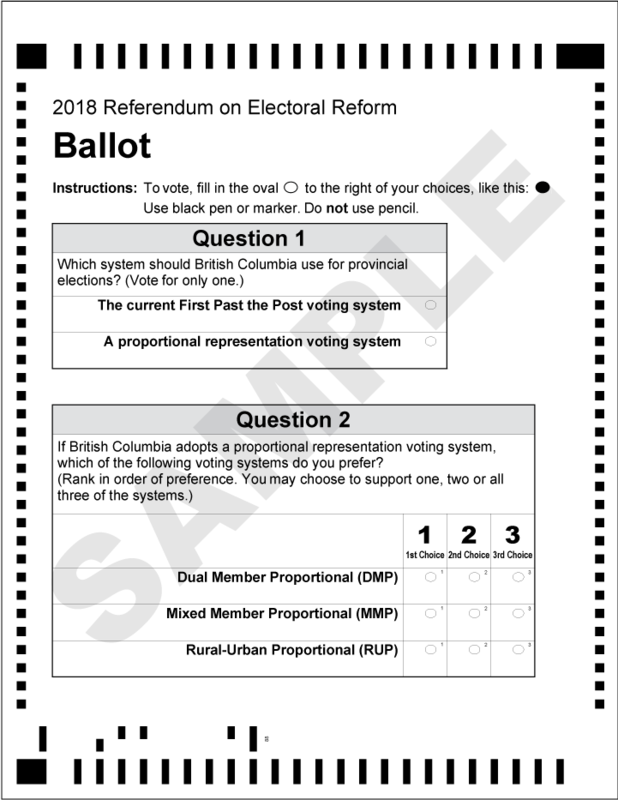 By examining these two voting systems, students will be able to make an informed (mock) vote during the referendum. 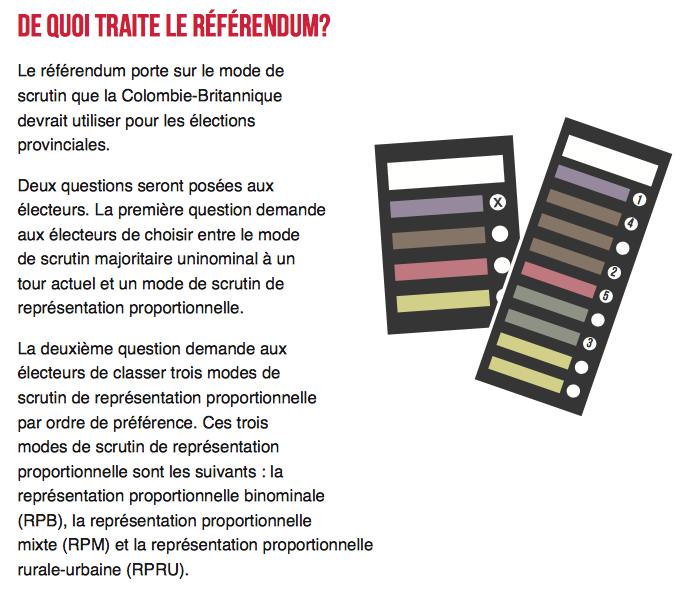 Comment fonctionne exactement notre système électoral? • A riding is a geographical area represented by an elected representative (also known as an electoral district or constituency). There are currently 338 federal ridings and each is represented by one Member of Parliament. • British Columbia is divided up into 87 ridings, which are defined geographic areas. 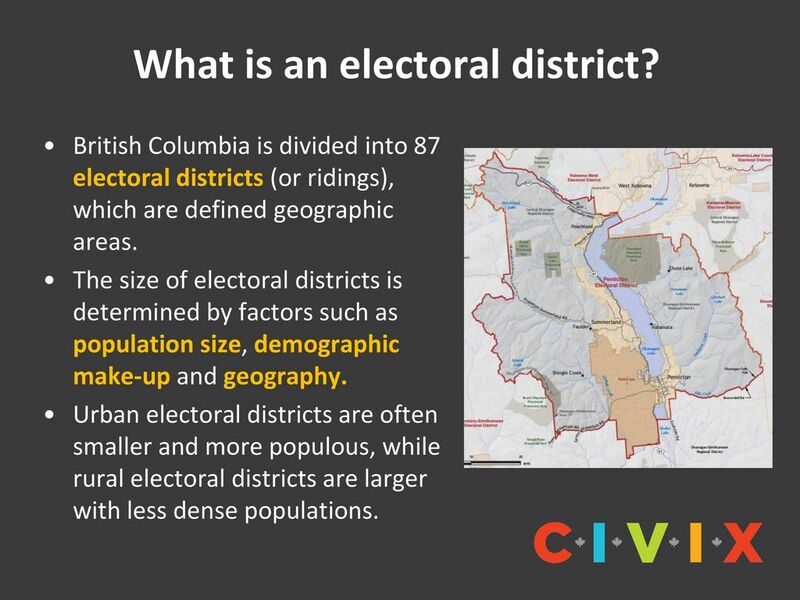 Click HERE to see the different ridings in BC. • Une circonscription est une zone géographique représentée par un représentant élu. Il y a actuellement 338 circonscriptions fédérales et chacune est représentée par un député. • La Colombie-Britannique est divisée en 87 circonscriptions, qui sont des zones géographiques définies. Differences between MAJORITY and MINORITY governments. Quel système est le meilleur? SECOND, voters will rank three different systems of proportional representation. MEDIA: These two groups have been selected as proponent and opponent groups for BC's referendum. 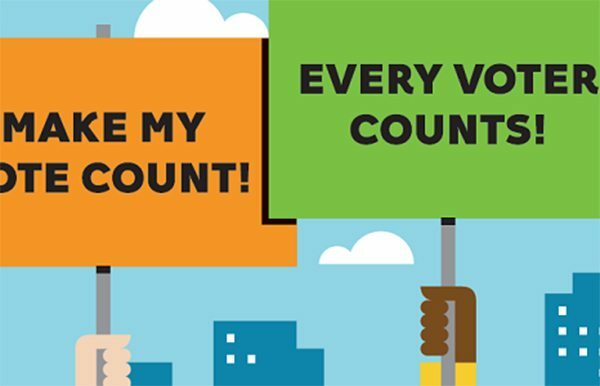 Both groups will receive $500, 000 in public funding to support or oppose proportional representation voting systems. This funding is to be used for public info campaigns. 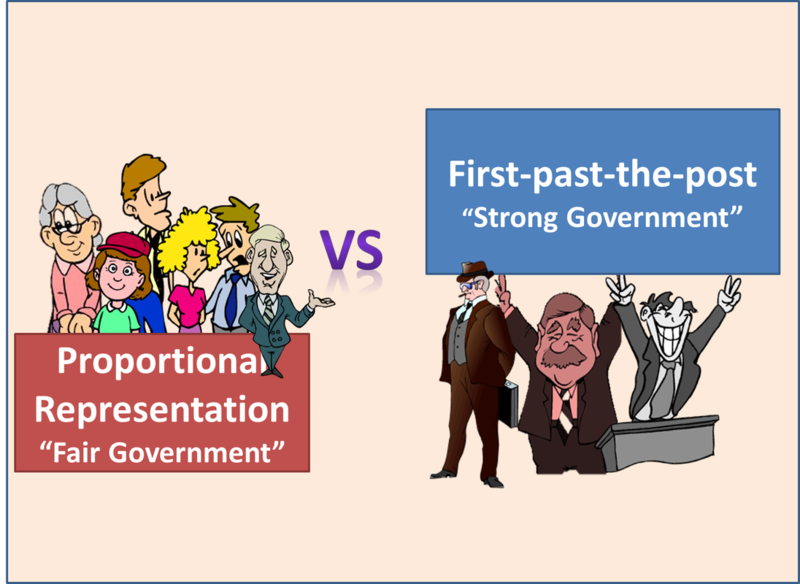 The cases for and against proportional representation in B.C. Indigenous people would benefit from proportional representation. • Voting system to elect governments or members of parliament. • Used in Canada. United Kingdom, United States and India. • Voters can only choose 1 candidate on their ballot. • The candidate with the most votes in their riding wins - Winner takes all. • Here Julie wins even though 60% of the voters chose other candidates. • Under FPTP it is not necessary to win more than 50% fo the votes - a candidate simply needs to win the most votes. • The candidate who gets the most votes from people, wins the race to be elected to a seat in parliament. 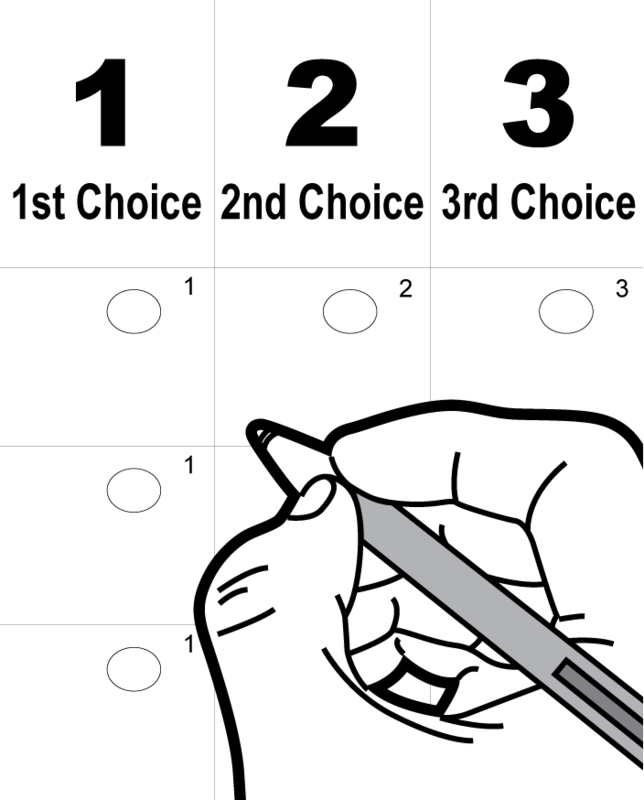 • Système de vote pour élire les gouvernements ou les membres du parlement. • Utilisé au Canada. Royaume-Uni, États-Unis et Inde. • Les électeurs ne peuvent choisir qu'un seul candidat sur leur bulletin de vote. • Ici Julie gagne même si 60% des électeurs ont choisi d'autres candidats. • Dans le système uninominal majoritaire à un tour, il n'est pas nécessaire de gagner plus de 50% des votes - un candidat doit simplement remporter le plus grand nombre de votes. • Le candidat qui obtient le plus de votes du peuple remporte la course pour être élu à un siège du parlement. • In British Columbia, since 1956, 88% of so-called “majority” governments have been “false” majorities. The party won the election but didn’t receive a majority of votes. This is the norm with the FPTP voting system when multiple parties run against each other for a single seat. Other recent examples of this (false majorities) include the Stephen Harper Conservative Federal Government of 2011, the Justin Trudeau Liberal Federal Government of 2015, the Rachel Notley New Democratic Alberta Government of 2015 as well as the Doug Ford Conservative Ontario Government of 2018. • Strategic voting is unique to the FPTP voting systems. In every election, rather than voting for the policies they like, large numbers of people vote “strategically” to try and avoid electing their least favourite candidate. • Each party gets the number of seats in the parliament according to the number of votes. For example: a political party that wins 10% of the vote, will win 10% of the seats in parliament and a party that wins 20% of the vote, will win 20% of the seats. • Proportional Representation reflects voter perferences. • There is more choice in this system. • Other countries that use Proportional Representation: Belgium, Denmark, Finland, Greece, Hungary, Israel, Italy, Luxembourg, Norway, Russia, Spain, Sweden, and Switzerland. • Chaque parti obtient le nombre de sièges au parlement en fonction du nombre de voix. • La représentation proportionnelle reflète les perférences des électeurs. • Il y a plus de choix dans ce système. • Autres pays utilisant la représentation proportionnelle: Belgique, Danemark, Finlande, Grèce, Hongrie, Israël, Italie, Luxembourg, Norvège, Russie, Espagne, Suède et Suisse. • It allows different voices to be heard. • It reduces the idea of a wasted vote. • It conforms to what the rest of the world is doing. • It reduces the effects of extremism in politics. • It encourages a coalition government and diversity in opinions to be heard. • It allows for multiple candidate preferences. • Can make things easier for extreme parties to gain representation. • It can create political gridlock: Creates a system of government that tends to be indecisive and weak because everyone argues for their own best interests. • It can be an unstable form of government. Having more voices can be a good thing, but it can also create a discord that makes it impossible to government. ​• It is not always wise to compromise. There are times when a strong majority in the government is required to push through needed reforms. • Two candidates in each riding. • 1 Ballot but 2 votes. • Electing a mix of local and regional MLAs in each region on the province. • Multi-member ridings in urban areas and a mix of local and regional MLAs in rural areas. • Allows for 1 local MLA (what we have now) plus a team of regional leaders. 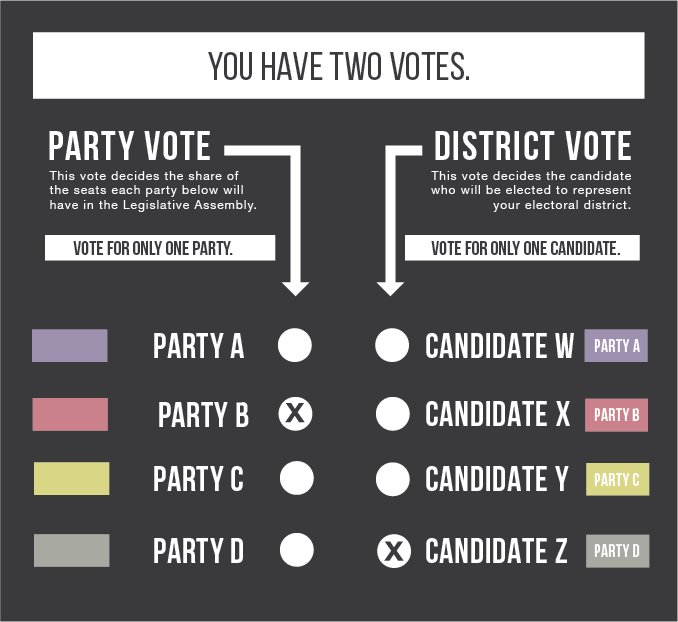 • Parties can run multiple candidates in a district and voters rank their preferred candidates on the ballot (1, 2, 3, etc.). DMP was invented in 2013 by a University of Alberta mathematics student named Sean Graham. 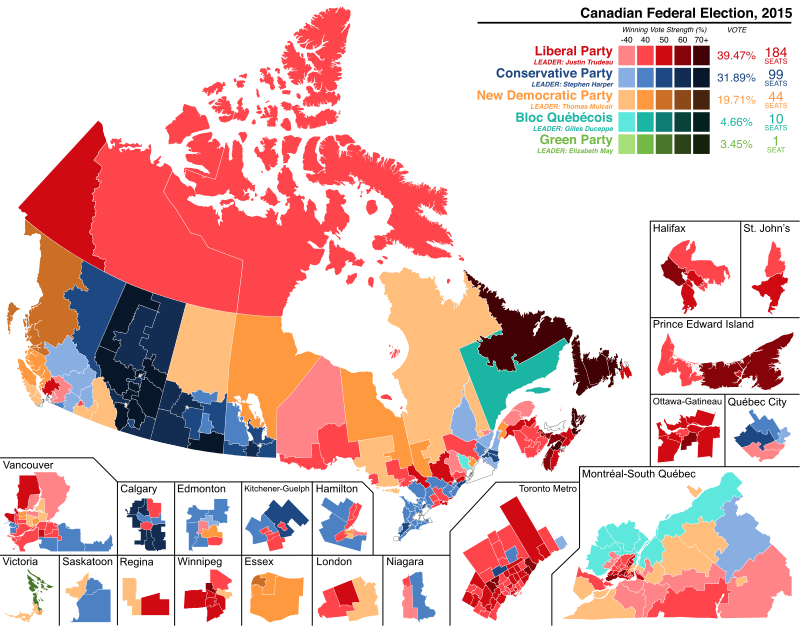 The system was intended as a possible replacement for FPTP in Canadian national and provincial elections. The New Zealand electoral system has been mixed-member proportional (MMP) since 1996. MMP was introduced after a referendum in 1993. ... The term of the New Zealand Parliament is set at three years. Whichever party (or combination of parties) wins the most seats at the general election becomes the Government. Do you think electoral reform is important for our democracy? Pensez-vous que la réforme électorale est importante pour notre démocratie? Uninominal majoritaire à un tour ou Représentation proportionnelle?